Artificial Intelligence (AI) and Machine Learning (ML) are hot topics in IT today. Both of these concepts are being applied to technology as a way to increase our ability to know more and learn more about our infrastructure. Nowhere is that more true that in the wireless industry. Wireless is adopting AI and ML for a very simple reason – complexity. Unlike something like security where the complexity comes from interactions with users and such, wireless is inherently complex by nature. Radio waves are not perfect. Environmental factors can play huge roles in the way that infrastructure behaves. Even something as simple as a rainstorm can have an impact on coverage and connectivity. Where else does this happen in IT aside from wireless? AI and ML give wireless professionals the chance to really dig into the metrics and reporting that comes from their hundreds of data points. Much like a SIEM, wireless management platforms can overwhelm people with thousands of log entries that have very little correlation. What happens when a client roams between APs? Is there a deauthentication to worry about? How can we make sure that the users are getting peak performance without turning them all into wireless engineers? That’s where the new generation of wireless technologies comes into play. I had a chance to sit down and chat with Mike Leibowitz and Abby Strong of Extreme Networks about their latest hardware offerings. Rather than just making it about new access points, Extreme has released new switches to support those APs as well. They offer higher power per port, up to 90 watts per the new power standards, as well as the first dual 5GHz antenna from Extreme and integration Bluetooth Low Energy (BLE) beacons for location and other user-facing services. Hardware is all well and good and they are definitely tracking with the new 802.11ax standard that is rumored by approved later this year. But the real highlight of this release that Abby and Mike wanted to call my attention to was the integration of AI and ML into their platform. Extreme has been working diligently to ensure that their solution includes AI and ML support for wireless. AI and ML, as stated above, are a huge advantage to wireless professionals. And Extreme is ensuring that those advantages work at scale. Unlike a small deployment of five or six APs where settings can be tuned and played with in sub-optimal ways, enterprises need more flexibility. If your protocols start falling apart at more than fifteen or twenty APs you’re going to have some serious issues crunching the kinds of numbers that most enterprises strive to reach. And it absolutely locks you out of one of the biggest growing markets out there – sports stadiums. Sports stadiums are starting to zero in on the importance of wireless connectivity. Ever since the construction of the new San Francisco 49ers stadium in Santa Clara, NFL teams have been trying to upgrade the wireless experience for their fans. And other sports teams have started following suit. Having tens of thousands of fans in one enclosed space is difficult on the wireless network. I know this because when I usher at college football games in my hometown my phone is pretty much offline, even when I’m connected to the wireless network. Under optimal circumstances it’s a challenge. Fans want to get score updates, post pictures on social media, and even replay videos of that big hit or amazing home run. They want to consume media in their own way. But stadiums are all about extending the fan experience. They want to offer enhanced services like being able to order food from any concession in the arena and having it delivered to the fan’s seat. They want to utilize digital signage to control crowds and provide better public safety in the event of an evacuation. They want to enhance the fan experience and offer additional reasons for people to come to games instead of staying home. They key to all these enhanced fan experiences is wireless. And the key to good wireless in a stadium or arena is solid, reliable connectivity and constant vigilance. Extreme already has a solid platform, especially with the release of their new WiNG 7 OS. And the new AI and ML pieces in the software give professionals the constant vigilance they need to monitor everything and make sure it’s all running properly. Trouble spots can be identified and fixed rapidly. Trends in specific areas can be identified and dealt with before it becomes and negative to the fan experience. Just like any other part of sports competition, having the best wireless experience is a trophy to be won. Facilities are always a huge part of the equation when ranking teams. Being able to tell your fans that they have the best coverage, best connectivity, and best experience is a great way to boost your team pride and fan spirit. And with the AI and ML analytics and monitoring capabilities from Extreme, you can guarantee you have the numbers to back up your claim to the title. I’m a bit skeptical of AI in general, but I’m a big believer in ML when applied correctly. I’m not talking about facial recognition or anything sci-fi right now. Instead, ML is good at deciphering data and recognizing patterns. And that’s how it can help with Wi-Fi. Being able to see trouble before it can grow into big problems and fix issues as they occur is a huge win for professionals providing services to users. If the software has reached the point where it’s smart enough to help then we can truly be thankful for the people that put it together. Go team! 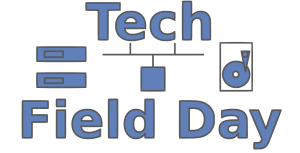 Be sure to catch Extreme Networks’ presentation at Networking Field Day this week. Watch the live stream on February 14th right here, or check back for full video.